This is quite possibly the Crme Brulee of luxury and celebrity jet charters. It falls into the heavy category, and can comfortably carry up to 14 passengers with a wide range. The Falcon 2000 EX is like comparing an Escalade rental to a BMW rental, to get a scope on size and capacity. Heavy jets are recommended for luxury air charters carrying up to 14 passengers, and this one can easily accomplish trips of 2,500-3,700 miles. 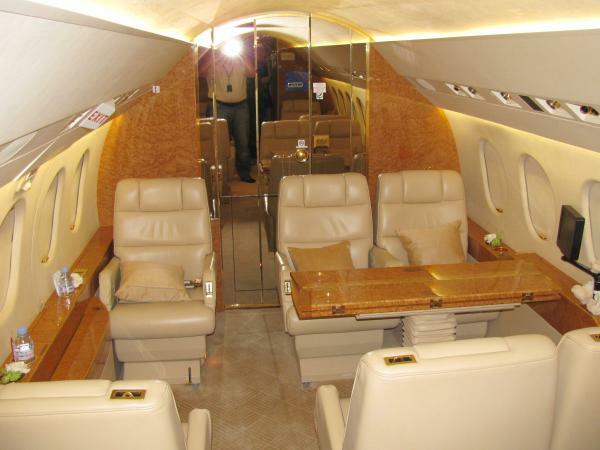 That said, this private air charter can get you anywhere in the world, comfortably, privately, and quickly! Another impressive point of this aircraft is the sheer speed! The Falcon 2000 EX series gets it, hitting up to 500 miles per hour at altitude. When you select the Falcon 2000 EX charter, not only will you be arriving at your destination promptly, but in exquisite style and relaxed from a complete lack of travel-related stress. You can fly Falcon 2000 EX private jets from approximately 5,000 airports, many of which are more convenient than commercial airports. When you expect the best, a private air charter is the way to go. Traveling in privacy ensures that you can enjoy your time in transit as opposed to counting down the minutes until your arrival. No more worrying about getting trapped in the dreaded middle seat on a commercial jet, or strapped in next to a screaming infant. You can simply take control of your own travel arrangements, and make the journey half the fun! Contact us for further information on the private aircraft charters we have to offer, we are here to answer all of your questions and provide the best in luxury rentals.